Boeing (NYSE: BA) and SF Airlines today celebrated the delivery of the airline’s first 767-300 Boeing Converted Freighter (BCF), the first owned by an airline in China. 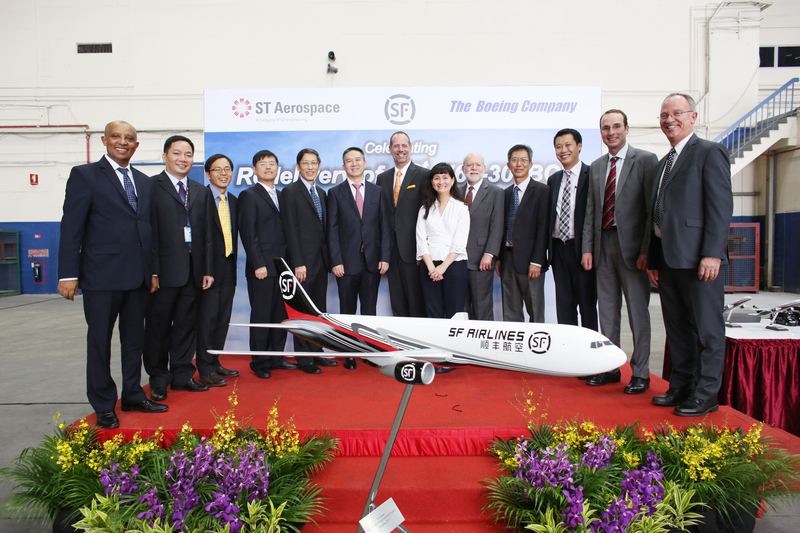 SINGAPORE, Dec. 18, 2015 – Boeing (NYSE: BA) and SF Airlines today celebrated the delivery of the airline’s first 767-300 Boeing Converted Freighter (BCF), which is also the first owned by an airline in China. The 767-300BCF is recognized as the industry’s most efficient medium wide-body twin jet freighter, with low direct operating costs, superior payload to weight ratios and Boeing’s world class support. Based in Shenzhen, SF Airlines currently operates an all-Boeing fleet of 25 airplanes, and has signed a letter of intent to purchase 737-800BCFs following a program launch. The addition of the wide-body freighter to SF Airlines’ fleet of Boeing 737s and 757s is one example of changes being made by the airline to better support the rapid e-commerce growth in the China market. Moving forward, the plan is to continue to add more routes and expand the company’s transportation network, Liang said.